I love making Christmas worksheets as this is one of my favorite holidays after all – the joy, the cheer and the warm feeling in your heart. I mean what’s not to love right? 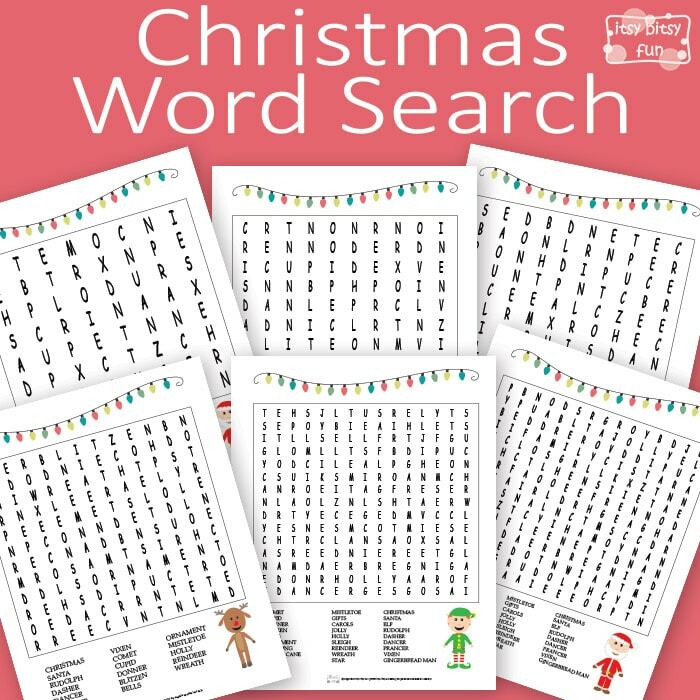 So let’s search for Santa and all his reindeer (yes, Rudolph the red nose reindeer included too), for some decorations – wreath, mistletoe, holly and much, much more festive words. I’ve created 3 different difficulties so you can use these with kids of different ages and each difficulty level has 3 variations – making this pack 9 pages all together. Now you can just print and solve these or (and this is even better if you ask me) laminate them and make them reusable – either by your kids or to give to your friends (or use at school for their friends to have lots of fun too!). 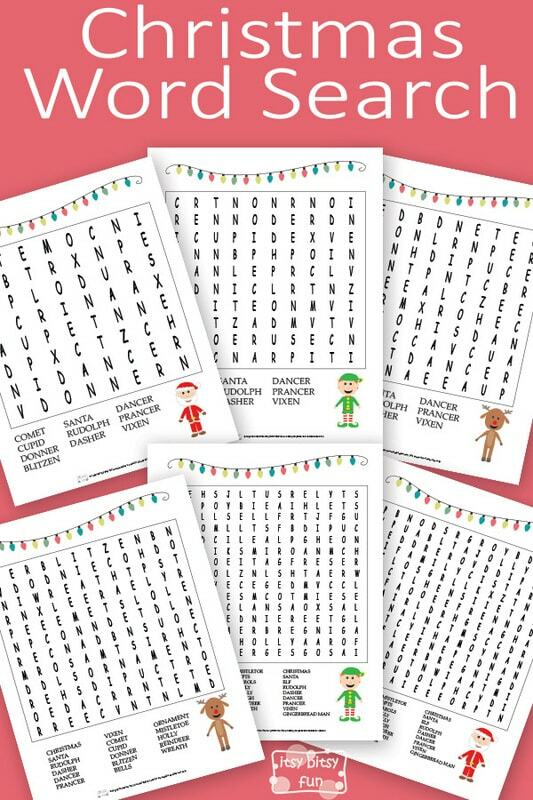 Get your free printable Christmas Word Search Worksheets here.